Insomnia and thinking! The aforementioned have become synonymous with struggle in my life. Thinking too much led to my depression. After I was weaned off anti-depressants about four years ago, my sleeping patterns have taken a significant blow. 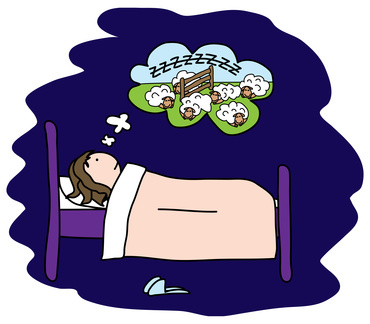 Some nights, I lie awake at night… Me, Myself and My Thoughts. While it’s good to be a thinker and question the world around you; doing so at night can do more harm than good. I question anything and everything in my life; past relationships, work decisions, childhood memories and the list goes on. In the past, an innocent thought could sprout in my mind, but, I over thought it to the point of where it became negative. I have more control over these negative thoughts but the restlessness persists. I genuinely envy those people who fall into a comatose-like sleep within five minutes. Yeah, you can take pills for insomnia but that’s as good as imprisoning your mind, body and soul. Dependency on medication is never the answer. I find comfort in reading about similar experiences from people world-wide. I know that I am not alone. I know that there are many people who have soldiered on through similar journeys. Thank you for sharing your experiences. You may be helping someone in a far bigger way than you realise. A Curious Case of Identity Theft?